From new car warranty repair to maintenance of your beloved older car, we have everything needed to take care of all your vehicle maintenance and repairs. 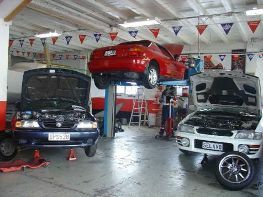 We service Australian and foreign vehicles. We are professionally licensed and accredited guaranteeing 100% of our workmanship. We employ only qualified and certified technicians who are schooled in the latest technology on the newest cars including the hybrid vehicles. Everything from new car warranty to engine repair, to rebuilding transmissions and changing your tires — we do it all. We’ll find the rattle in your dash, the vibration in your steering, and the pulsating in your brakes. We’ll diagnose your check-engine light problem, repair your brakes, and just about anything else. We’ll change the oil, fill your washer fluid, and rotate your tires. We’re here to keep your vehicle running its best. We have earned an excellent reputation for quality service, repairs and customer support and its something we live by. Whether you are dealing with us for the first time or are a regular customer you can be sure that out specially trained and professional staff will take pride in meeting and excelling in your automotive repair and service expectations.